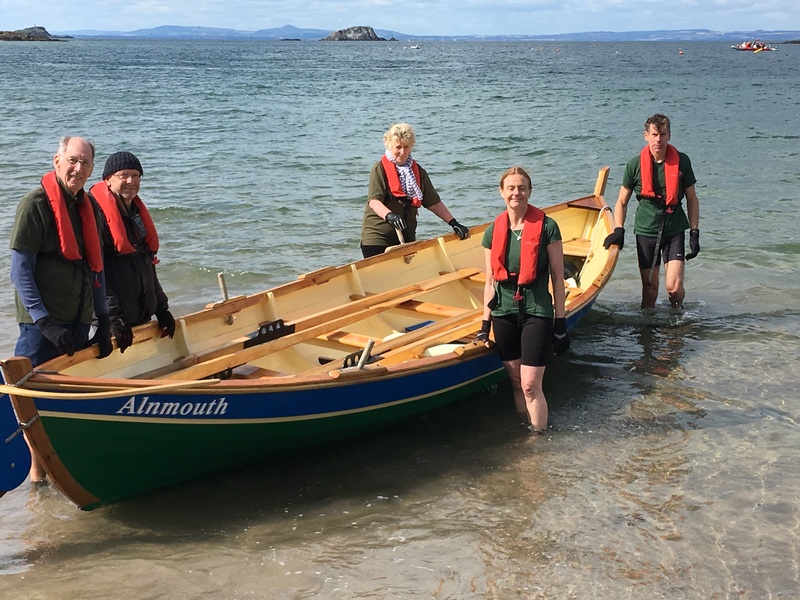 A big, well-organised event – 14 Scottish teams and Alnmouth, 11 racing categories and most teams entering most of the categories. 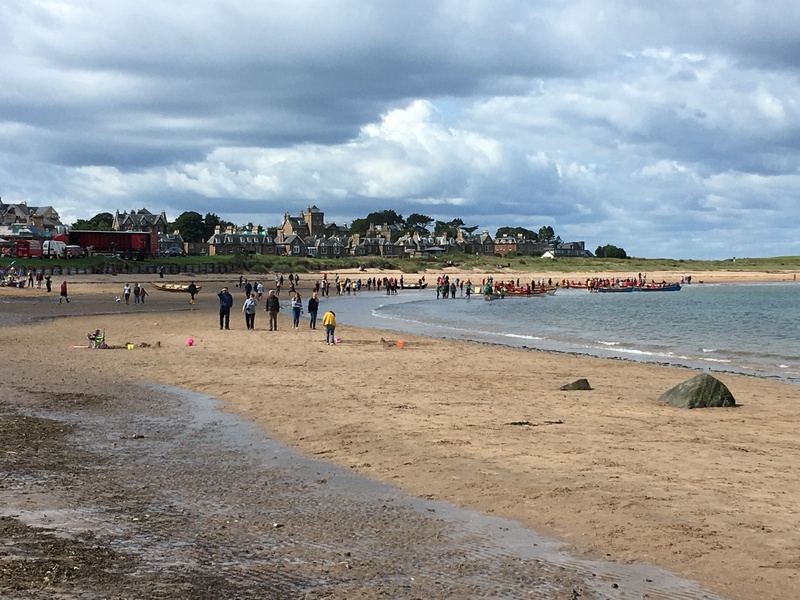 The Scottish clubs are veterans of such events and come equipped with smart gazebos to build their base on the beach. 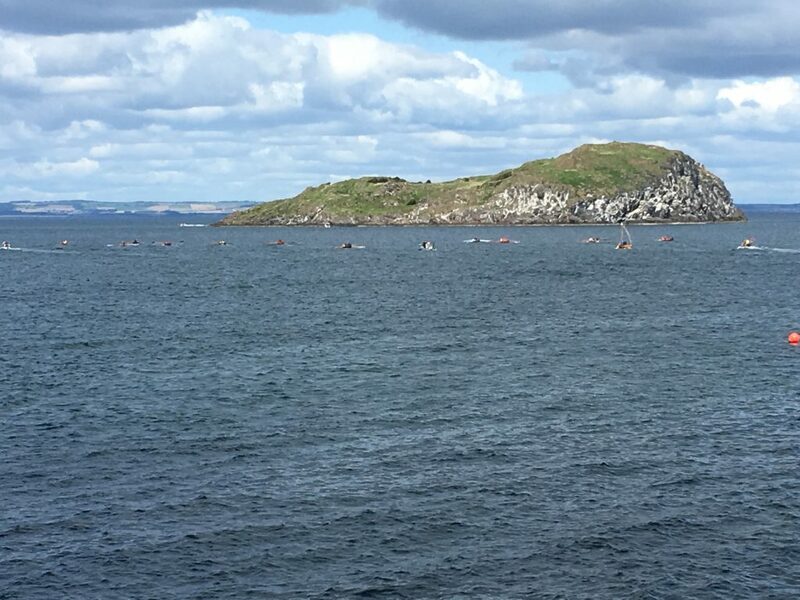 We entered two events – men’s 50+ and mixed 240 (where the aggregate ages of the 4 rowers is at least 240 years). Here is the mixed 240 crew displaying a range of emotions. They clocked in at 241 years! What we learned was the other teams row stronger so go faster – something we can practise!